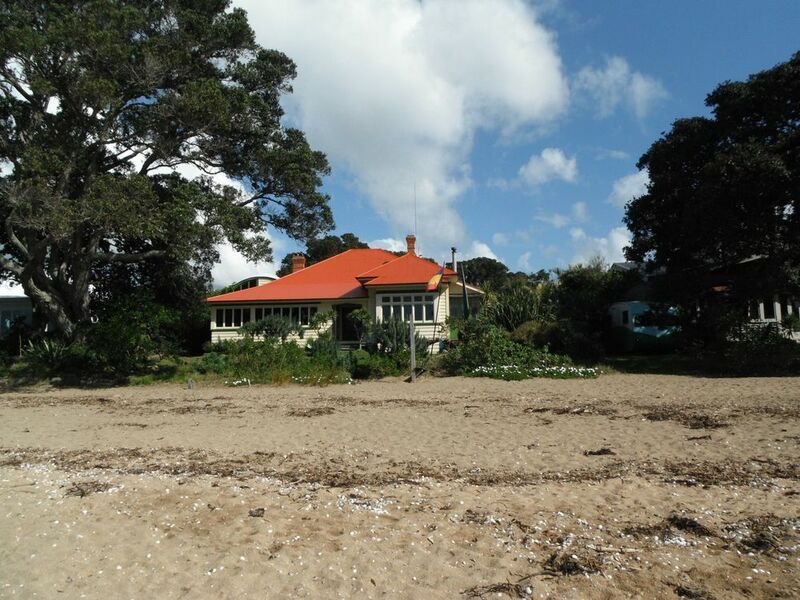 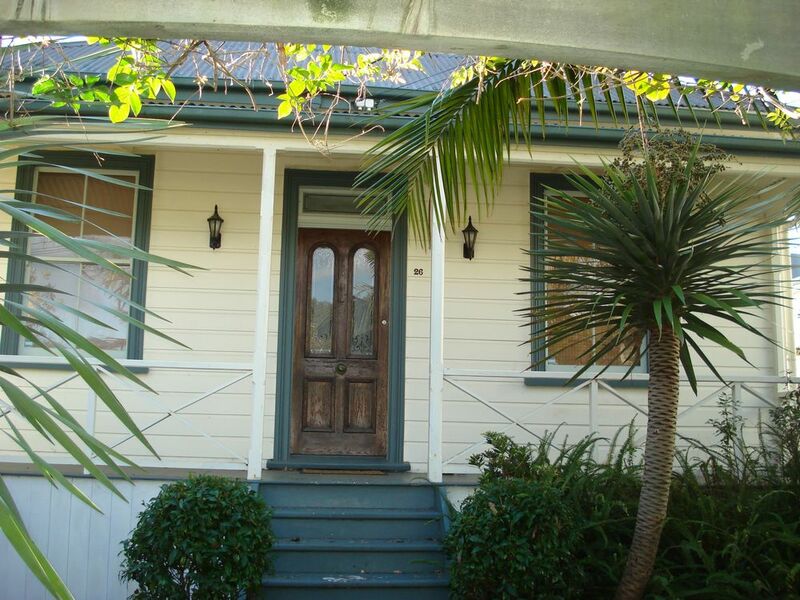 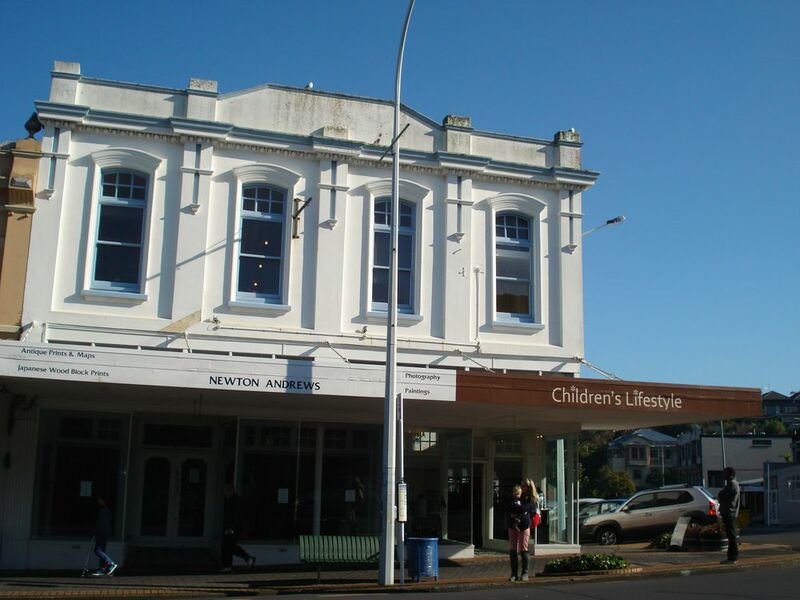 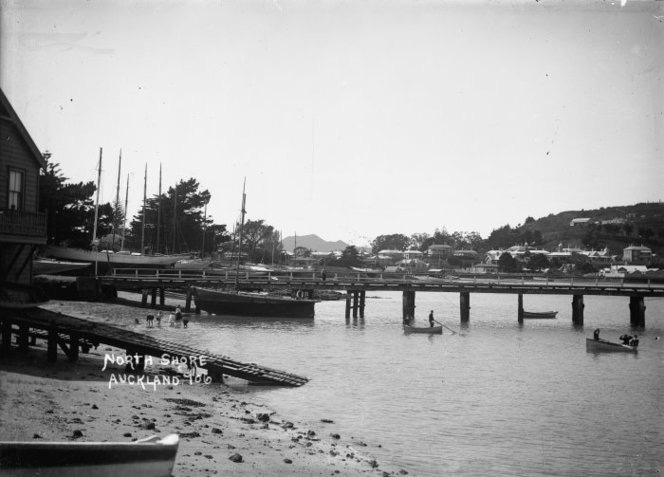 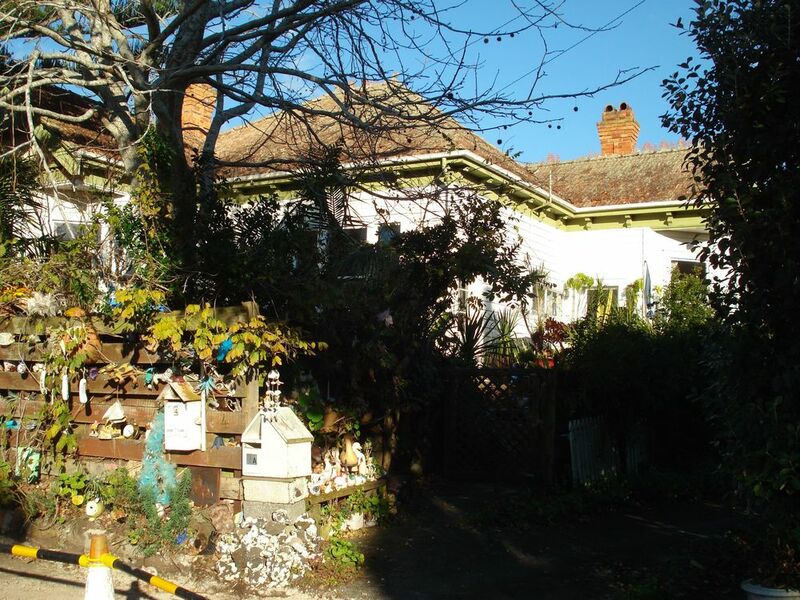 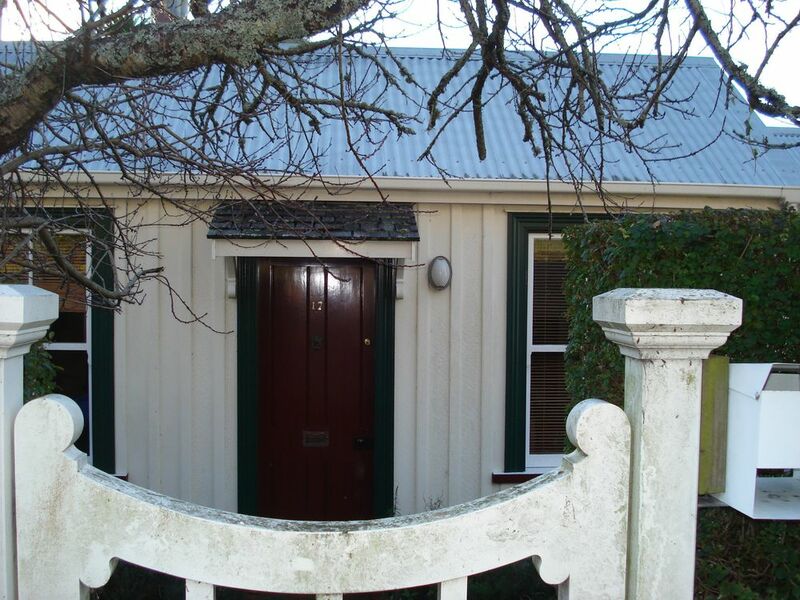 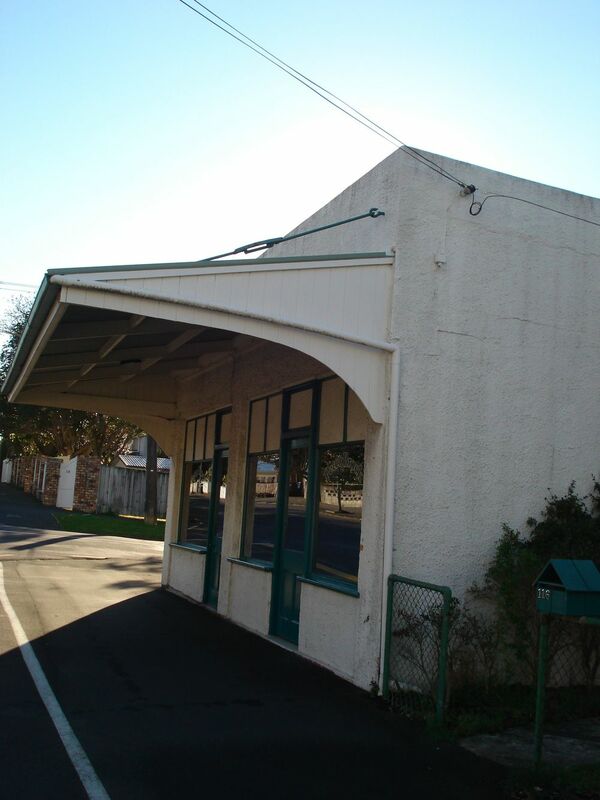 Many places in Devonport are scheduled by Auckland Council as having cultural heritage or listed as historic places by Heritage NZ Pouhere Taonga Over time we hope to have a complete gallery of pictures. 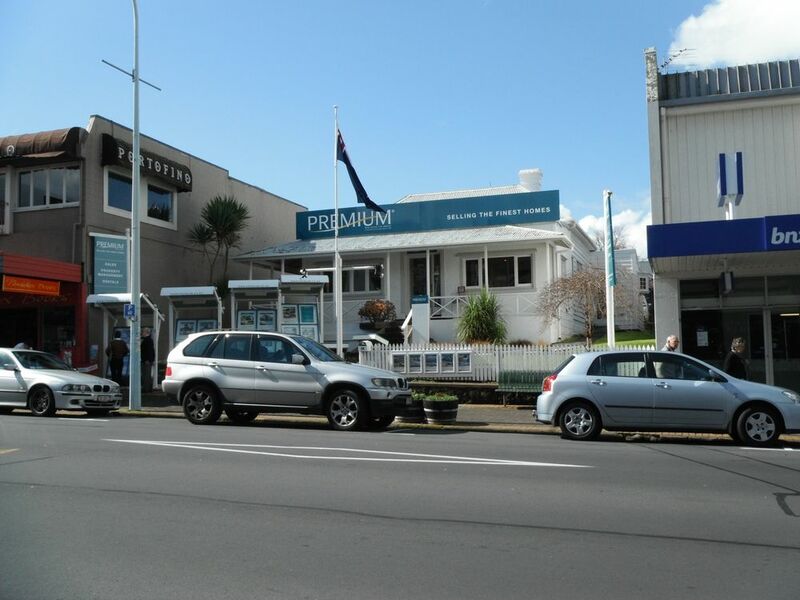 Here is a list of scheduled or listed places which includes, homes, commercial buildings, monuments and other places objects around Devonport. 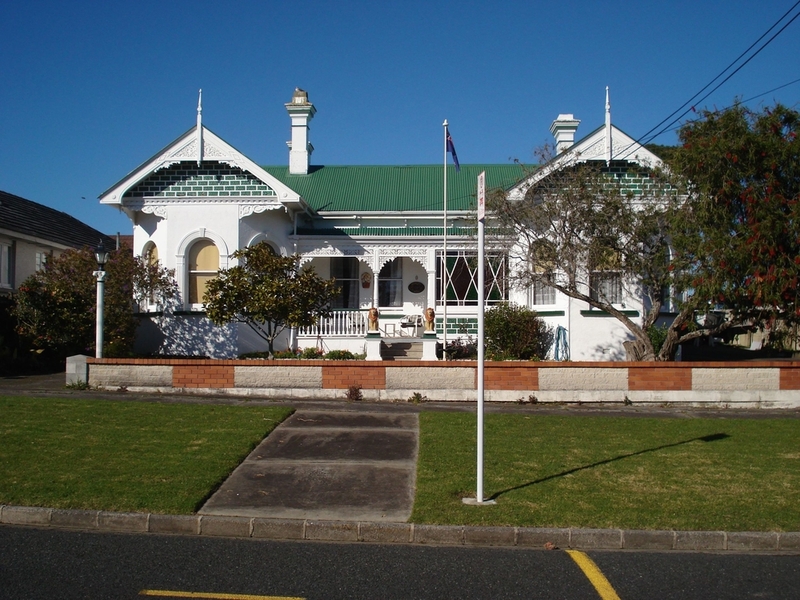 c. 1909-10, timber villa with Marseille tile roof. 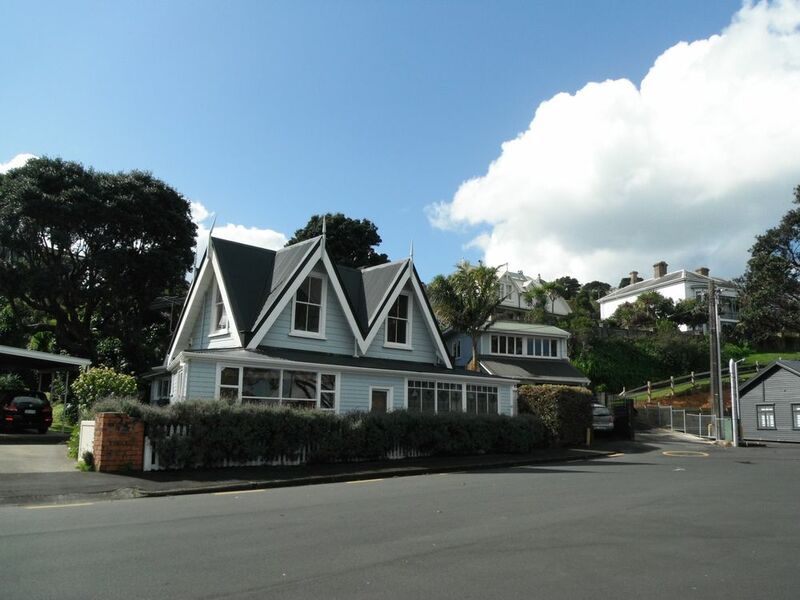 Auckland Council Schedule #260. 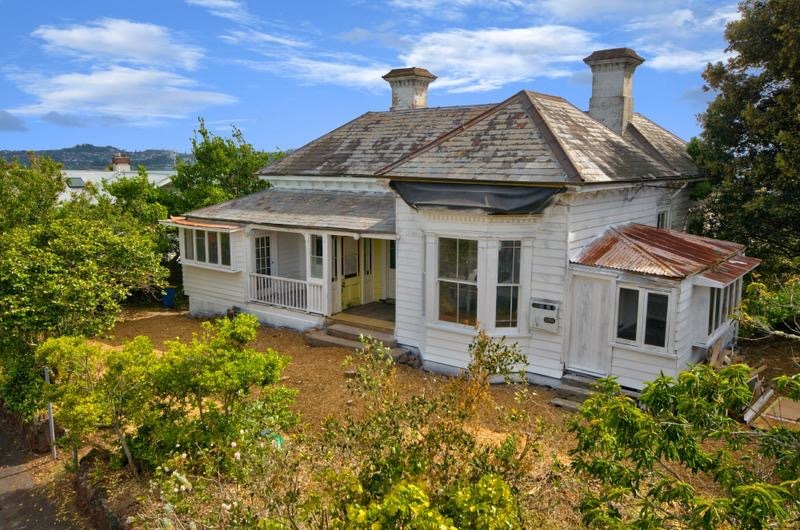 Early square villa cottage with pyramid roof form. 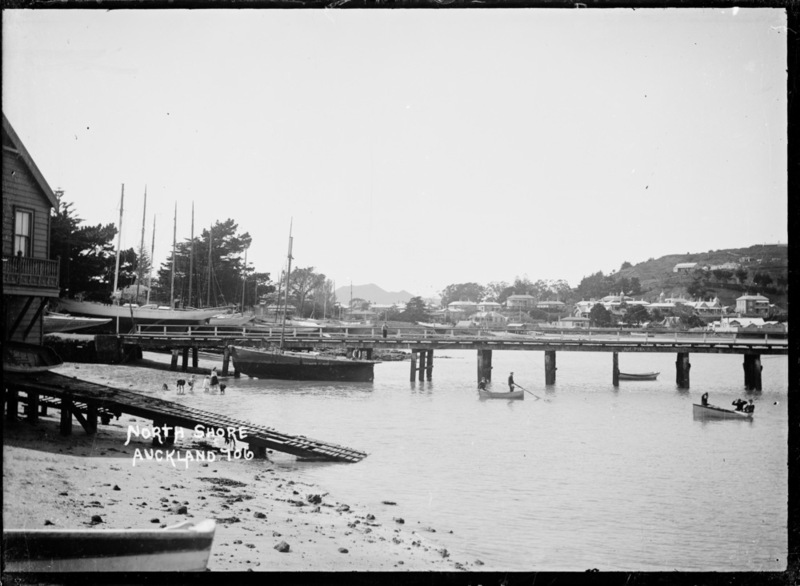 Probably dates from c 1880's. 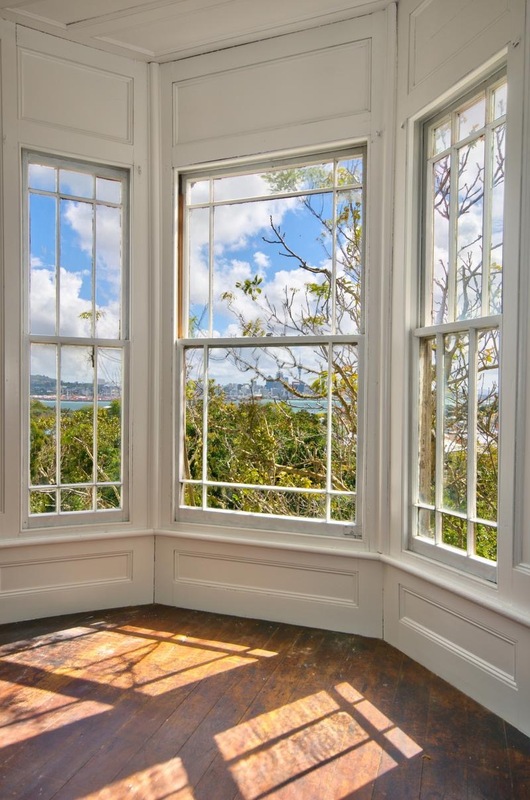 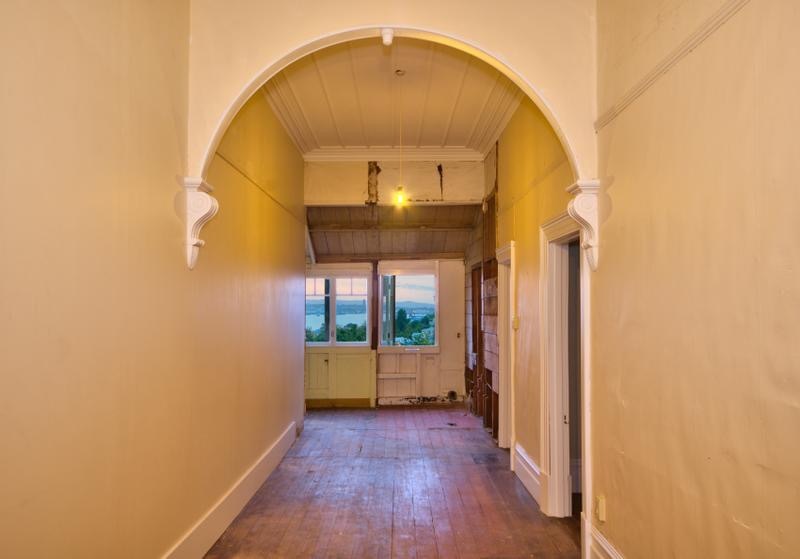 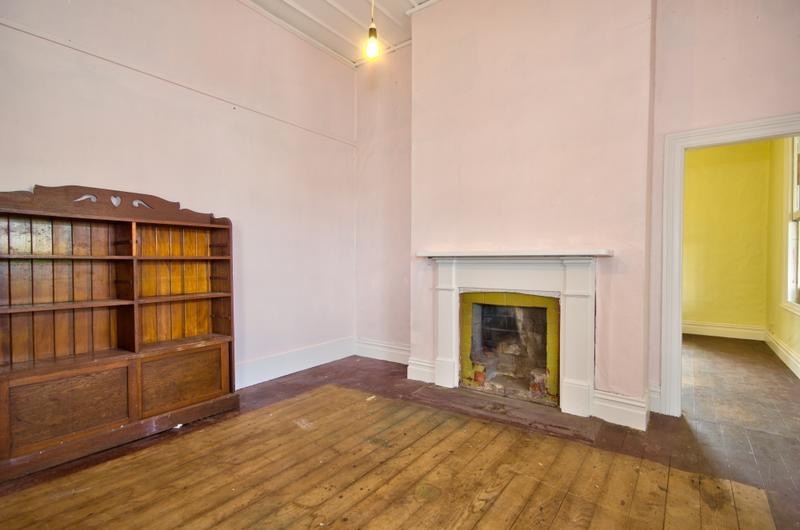 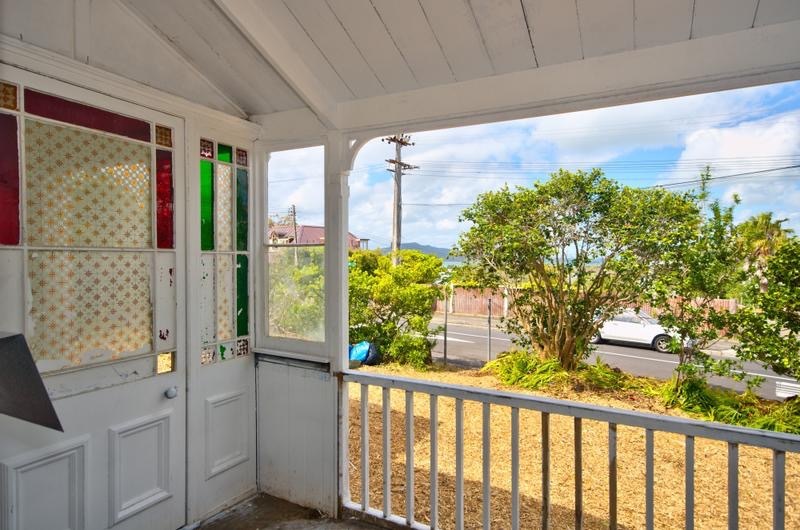 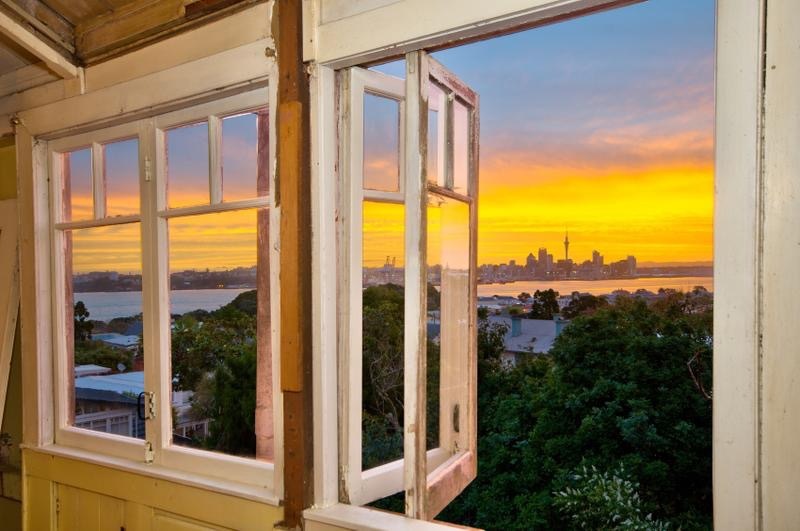 Known as the Goldwater house,this Edwardian corner bay villa is scheduled by both Auckland Council ( #266) and Heritage NZ- Category 2. 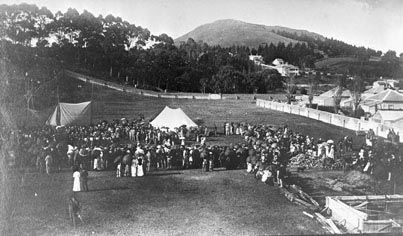 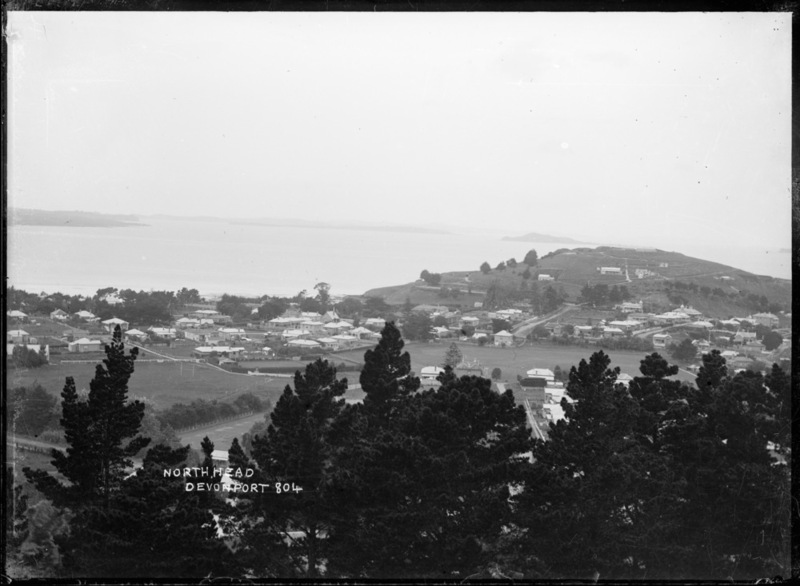 Devonport has been recorded by photographers since the 1860s. 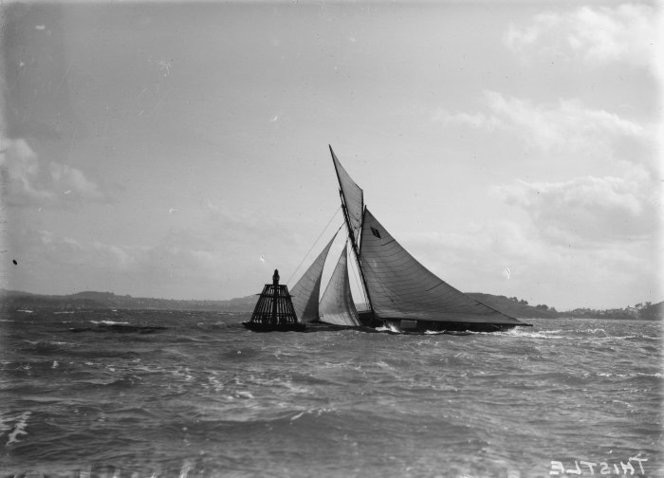 Here are a selection of old photographs. 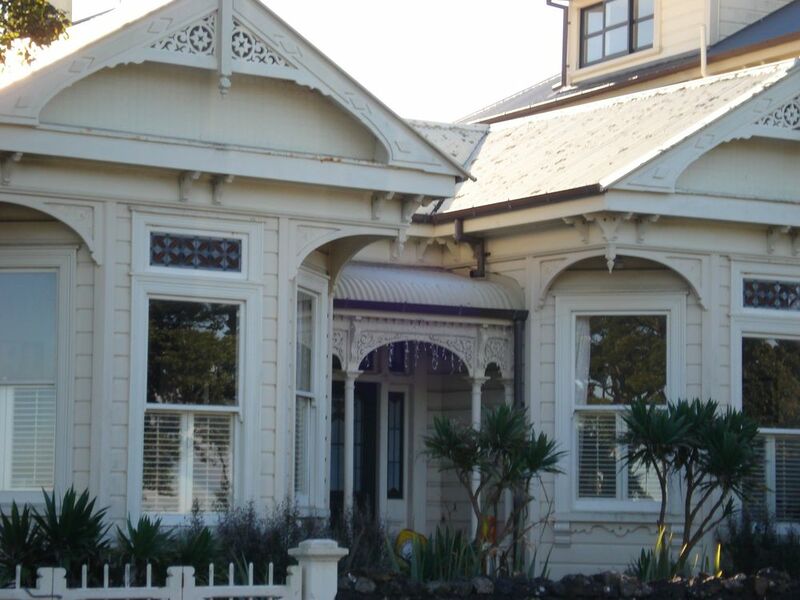 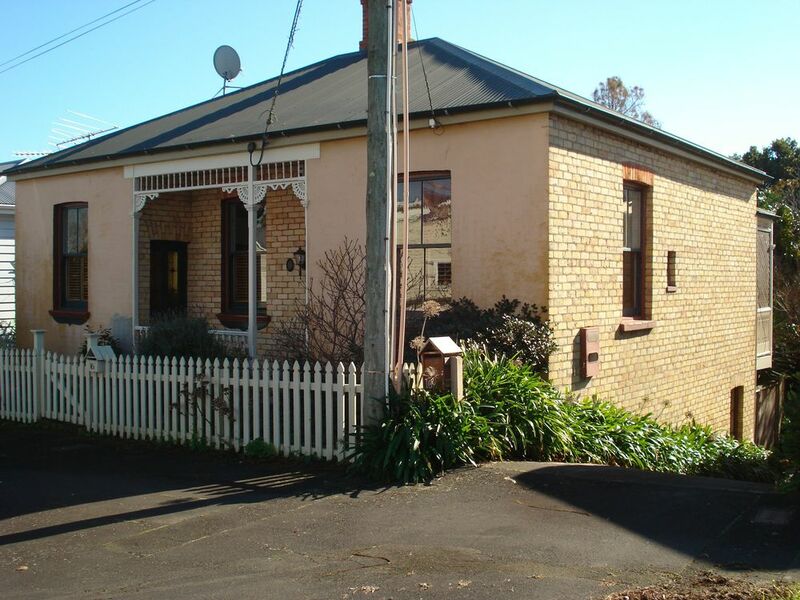 Our research page has more information about finding out about old homes and other places. 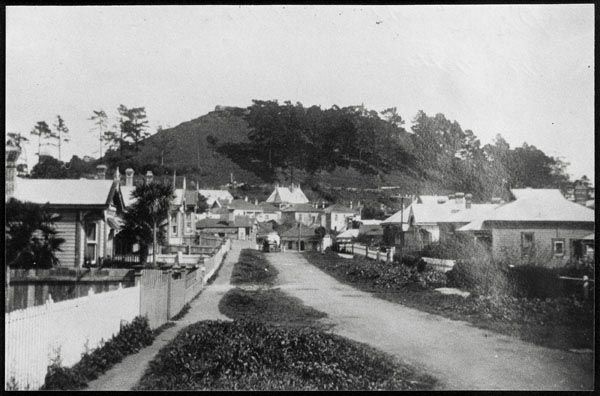 This early picture, taken after 1888, shows the contrast between the eastern side of the street where there were villas, often with a home occupation such as a doctors or dentists surgery, compared with the very commercial western side of the street. 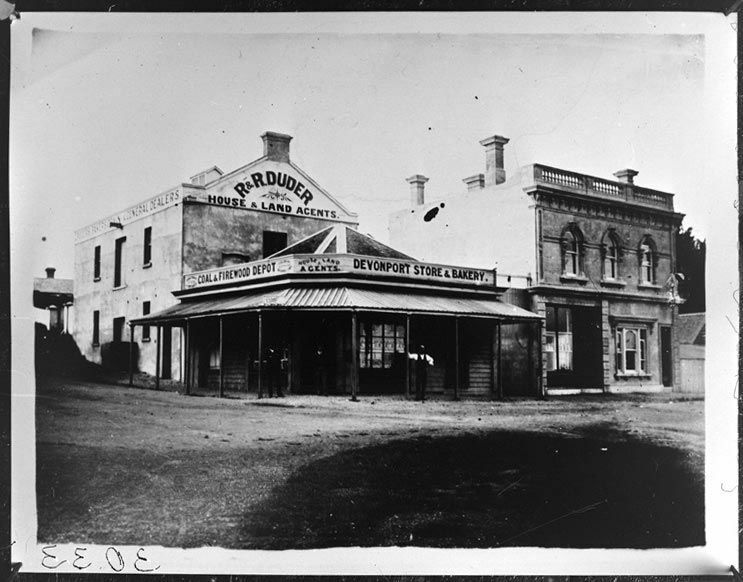 This was located near the foot of Church Street, on what is now King Edward Parade. 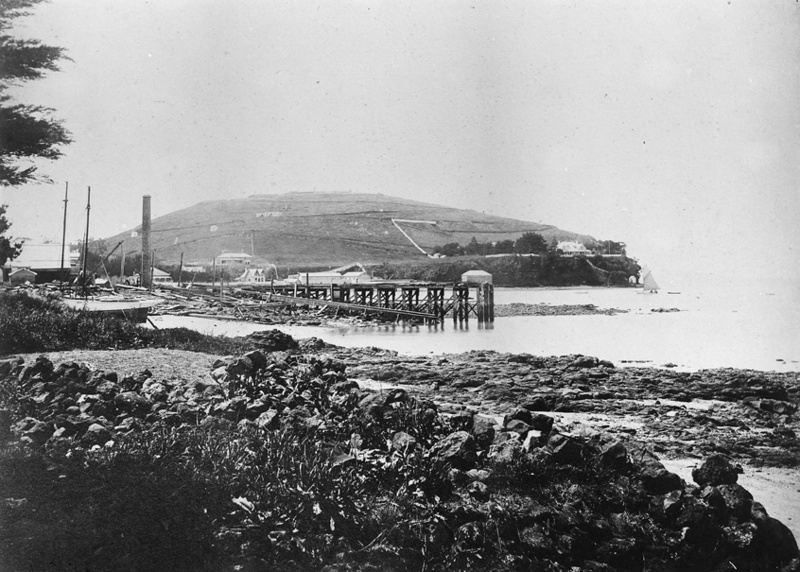 This area was used by earlier ship builders and the first "Devonport Wharf" for cargo and passengers was located here, not where it is today. 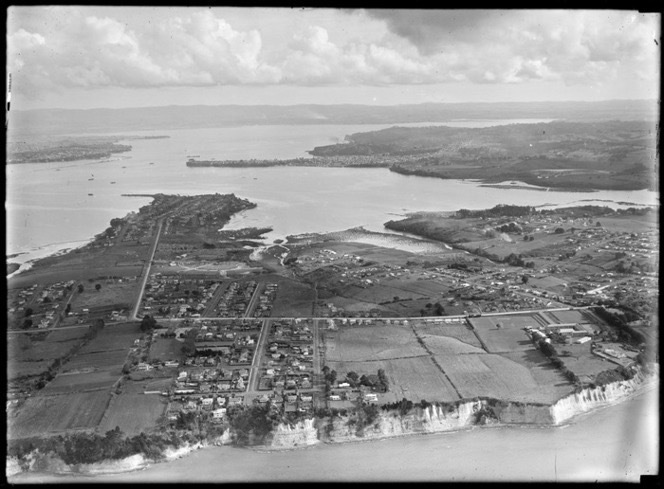 A view of Belmont and Bayswater from the air. 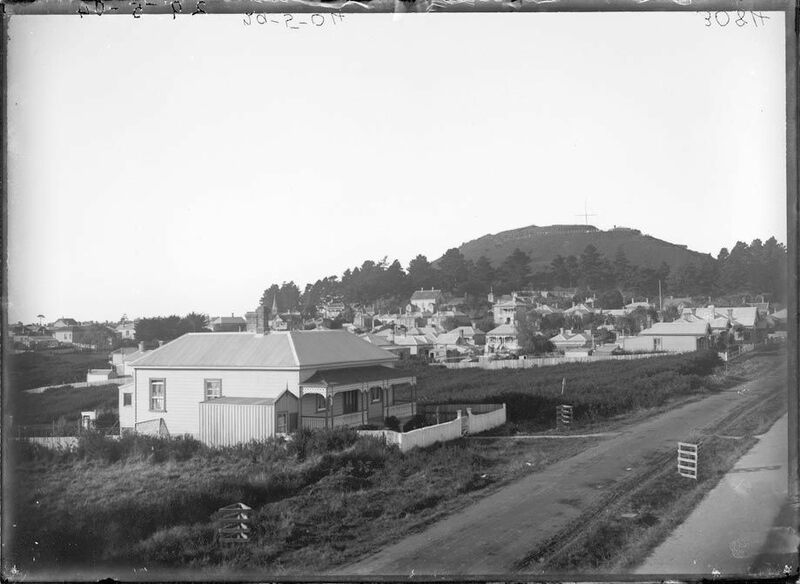 "The hammer and sickle road layout of Philomel Crescent and Diomede Street, with its illusion to communist symbolism, has occasioned comment over the years" North Shore thematic heritage review. 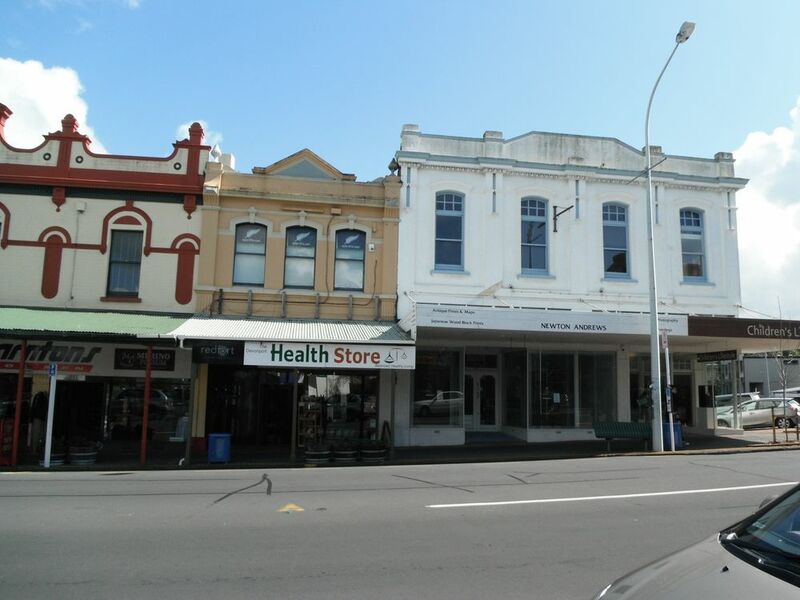 Corner of Church Street and King Edward Parade. 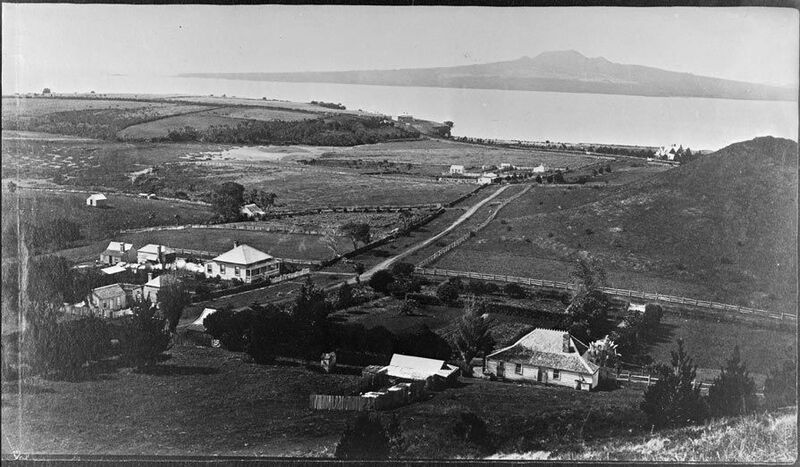 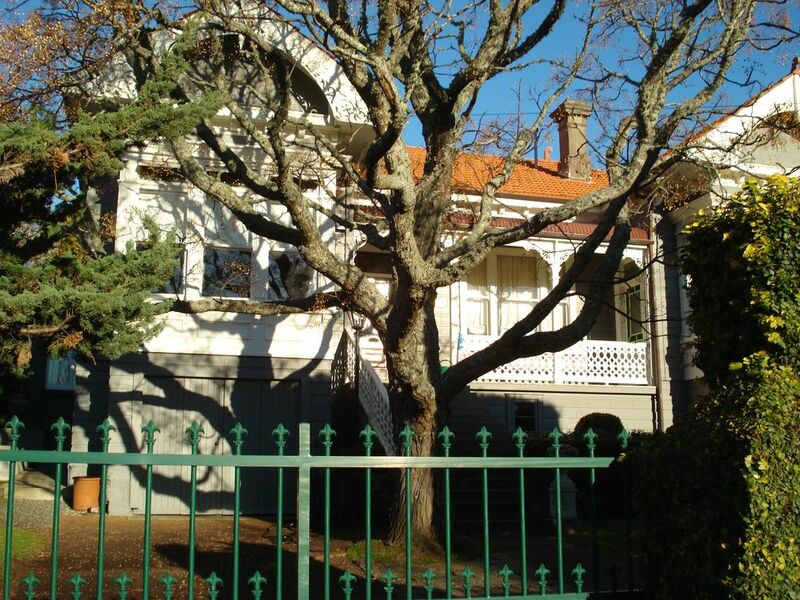 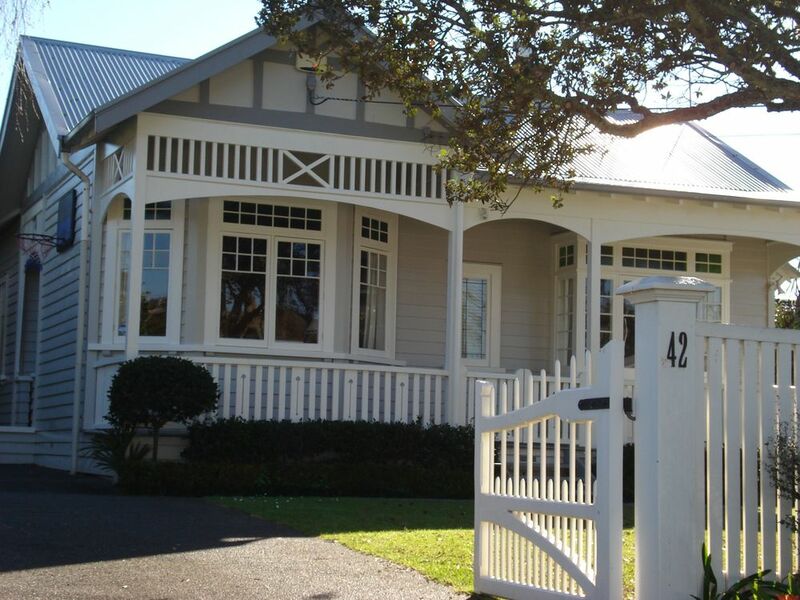 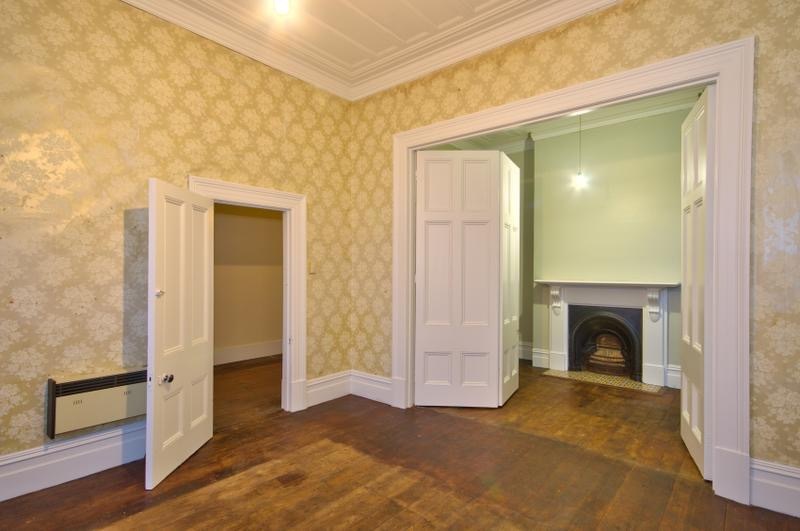 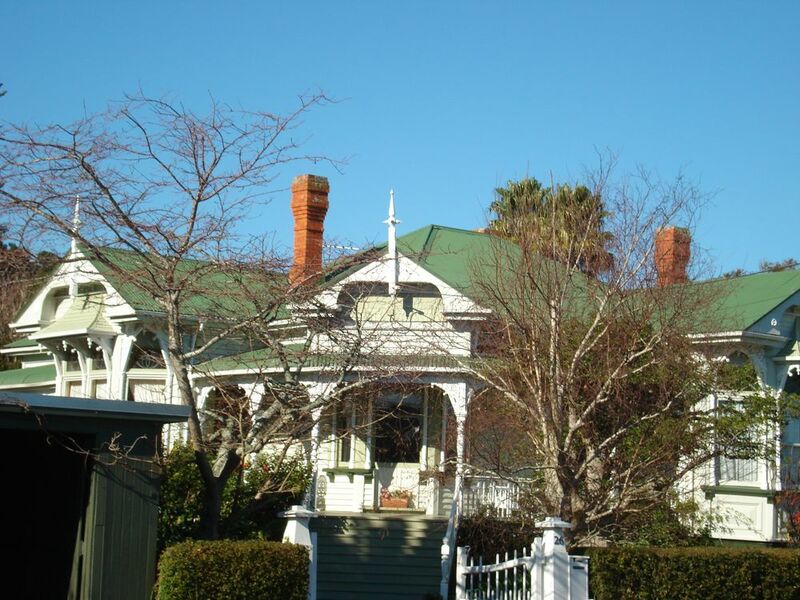 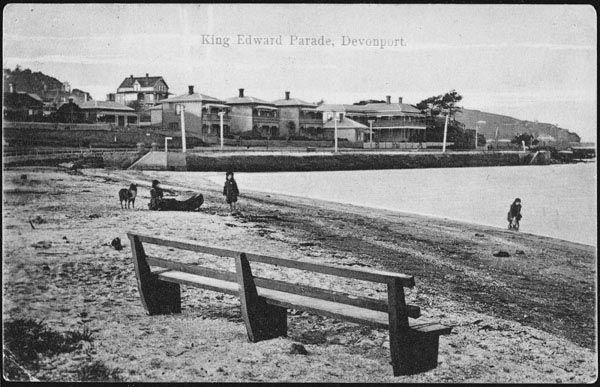 The Duder family were key figures in the Development of Devonport from the 1850s. 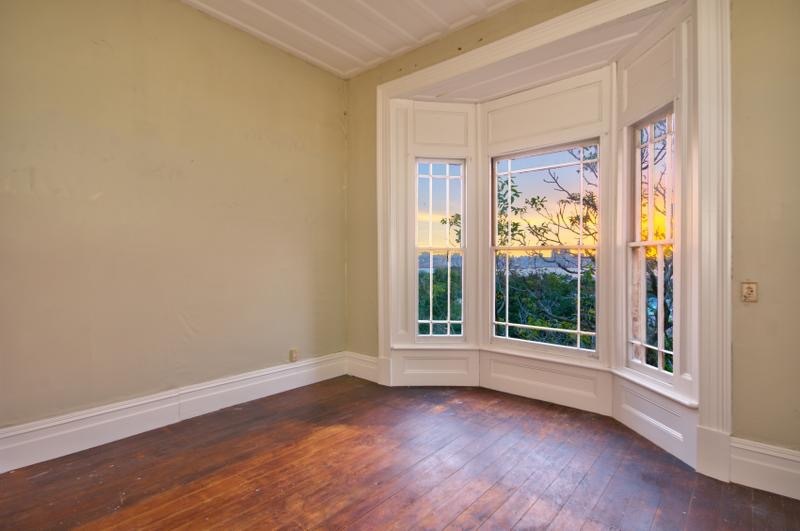 The Duder's former home at 11 Church Street is also scheduled ( #268). 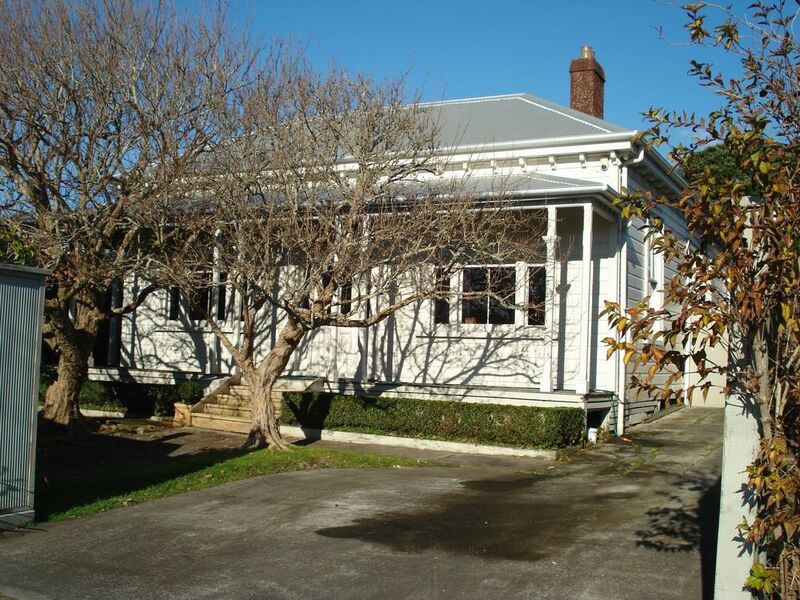 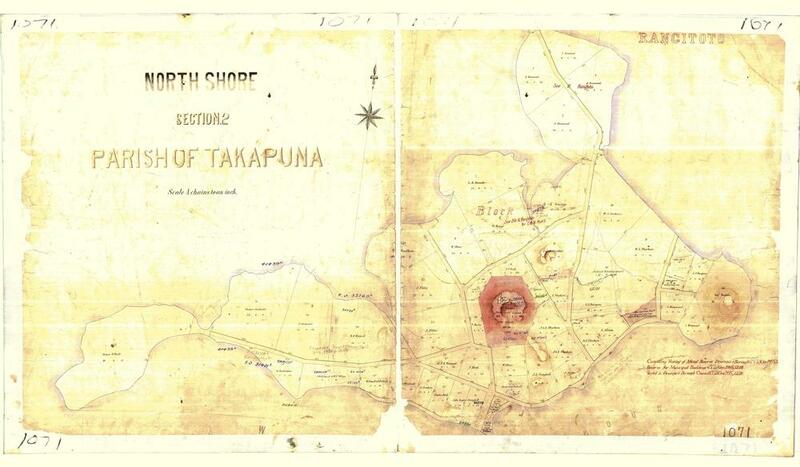 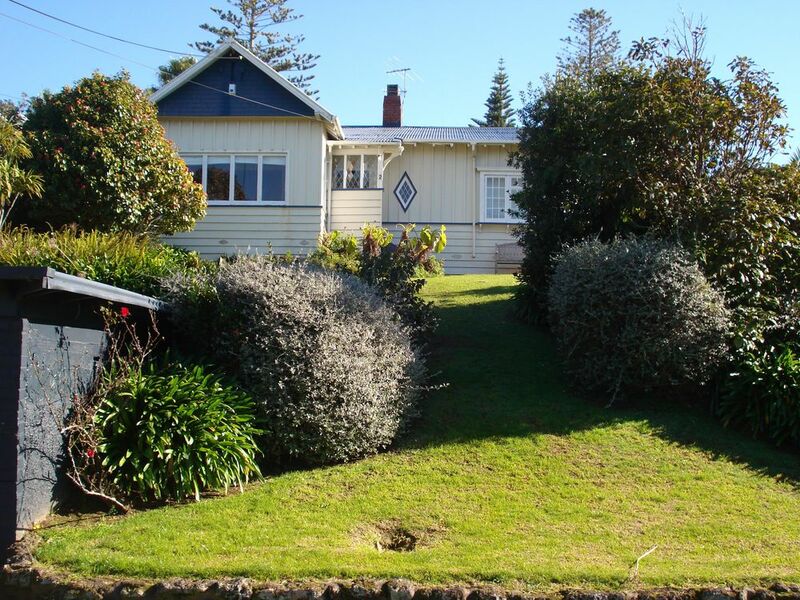 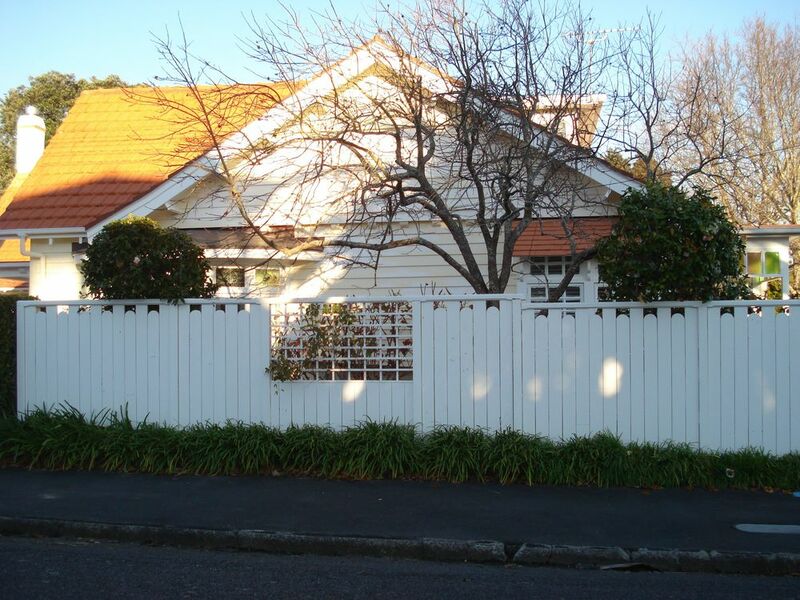 The corner site is scheduled by Auckland Council #384, Category B. 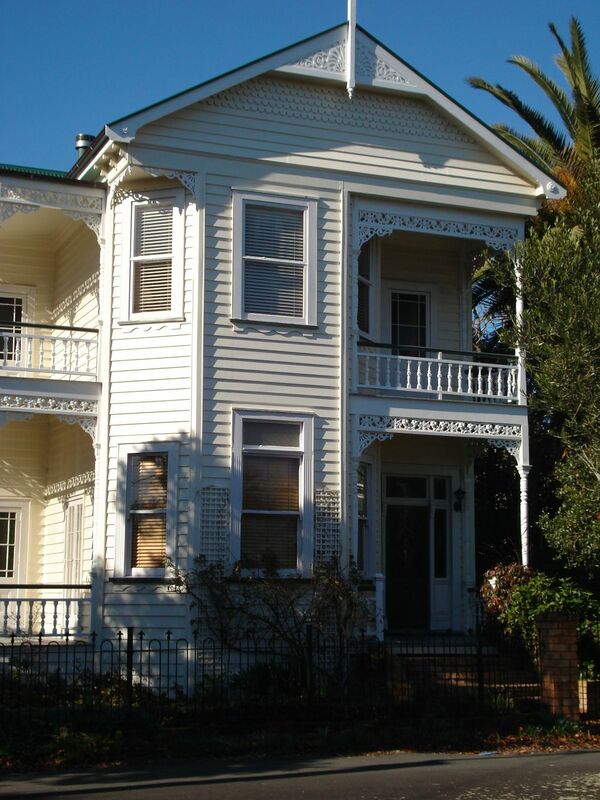 Corner of Mays Street and Kerr Street. 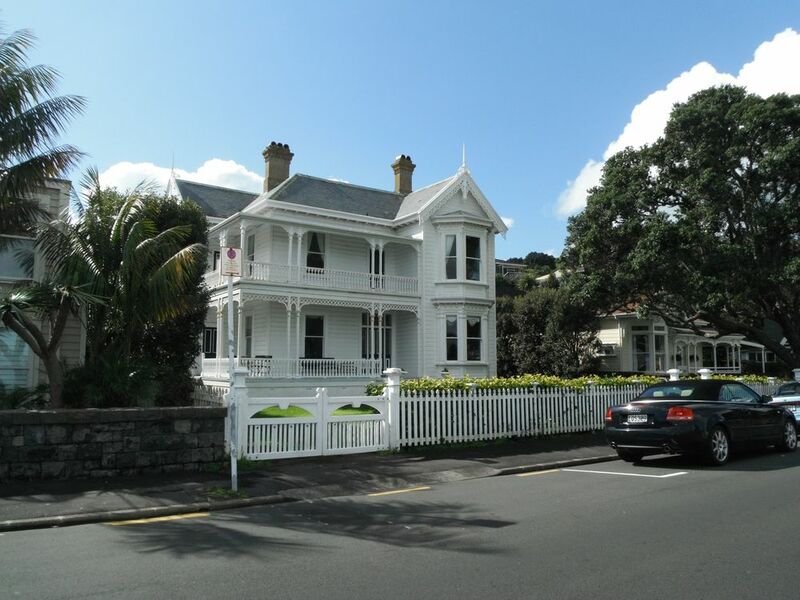 Substantially added to in 2014. 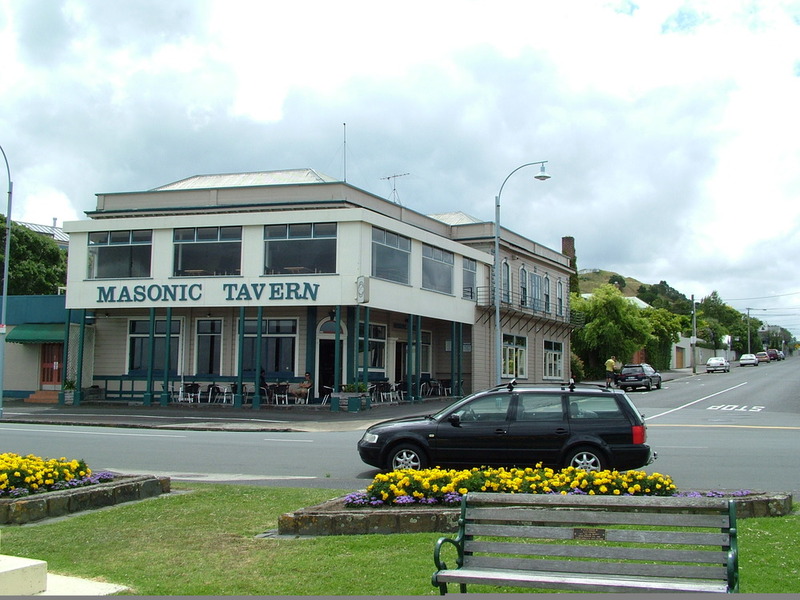 The older part of Masonic Hotel dates from 1866 with additions further up Church Street in the 1880s.